Well done “Te Atuarere Albert” and all the best for tonights game!! The 2014 Hurricanes U18 team has been named to face a Wellington U19 trial team in a one-off match at Porirua Park on Monday. 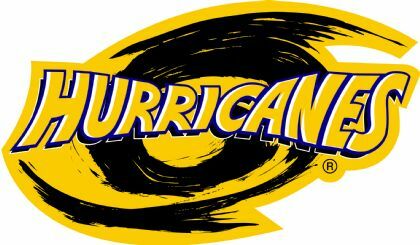 The U18 team is based on a long tradition, and has been selected from all age-eligible players from the eight provincial unions aligned to the Hurricanes club. The first Central Regions Schools team (the fore-runner of the Hurricanes U18 team) was formed 35 years ago in 1979, where it played and defeated an English Schools team at Athletic Park. A New Zealand Secondary Schools Regional Tournament was then established in 1986. The Regional Tournament saw teams play for the Barbarian Shield, of which the Hurricanes won in 2004, 2005, 2007, 2008, 2009 and 2010, before losing it to the Blues in the final year of the competition in 2011. The U18 team also played the Australian Secondary Schools team in 2006 and 2008, winning both matches. The team was reformed in 2013, playing a one-off fixture against a Chiefs U18 selection in Taupo. The U18s have this week taken part in a gruelling camp held in Feilding, where they have been drilled, analysed, and educated on the game of rugby. While the camp finished at 12pm today, the work isn’t over for those who have been selected to play next week. Monday’s match at Porirua Park will kick off at 6.30pm, and is free for spectators.